She defied the Capital in 'The Hunger Games' by saving Peeta in the arena. In 'Catching Fire' she inadvertently incited a revolution instead of stopping it. After breaking out of the arena during the 75th anniversary of 'The Hunger Games', Katniss and a few other competitors are rescued and become part of the rebellion. 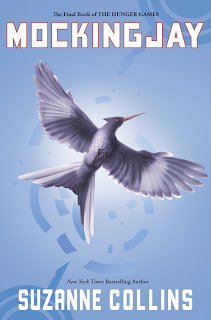 With the third and final installment, Katniss must decide if she will become the face or 'Mockingjay' of the revolt, while she struggles with the knowledge that Peeta has been kidnapped by the Capital and she is being used as a pawn by many powerful parties. Will she be manipulated? Will she see her potential and rise to the occasion? 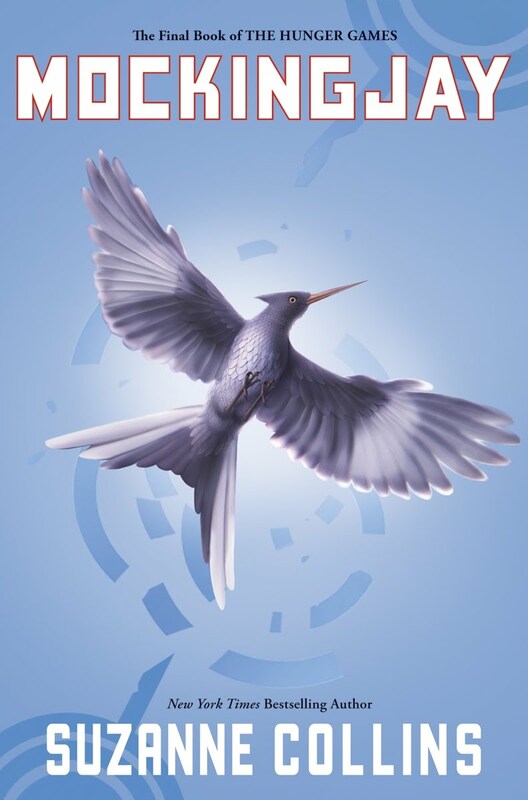 While still an engaging heroine, Katniss did not mature as much as I hoped in this book. I kept hoping she would realize her power and rise up-and while she did (kind of..) I was hoping for more. Many chapters are devoted to a mission against the evil President but she never ends up killing him. Collins also introduced many new characters that seemed interchangeable and were killed off anyway. I surprisingly found myself skimming some sections (I did not skim at all in the first 2 books). Overall, I enjoyed this book although I'm conflicted about the ending. There is a love triangle of sorts throughout the series (it is very obvious who Katniss will end up with)-this was resolved to my satisfaction. However, she ends up almost banished to District 12 and seems content with this. Unless she is suffering from PTSD, it didn't seem that realistic. Overall-I highly recommend this series.